At the Sydney Cricket Grounds, the beauty is in the details. The bunting along the porches at the century old Members Pavilion. The rich red clay imported from California. It has been done right, and it’s the subtleties of Sydney that truly stick out. 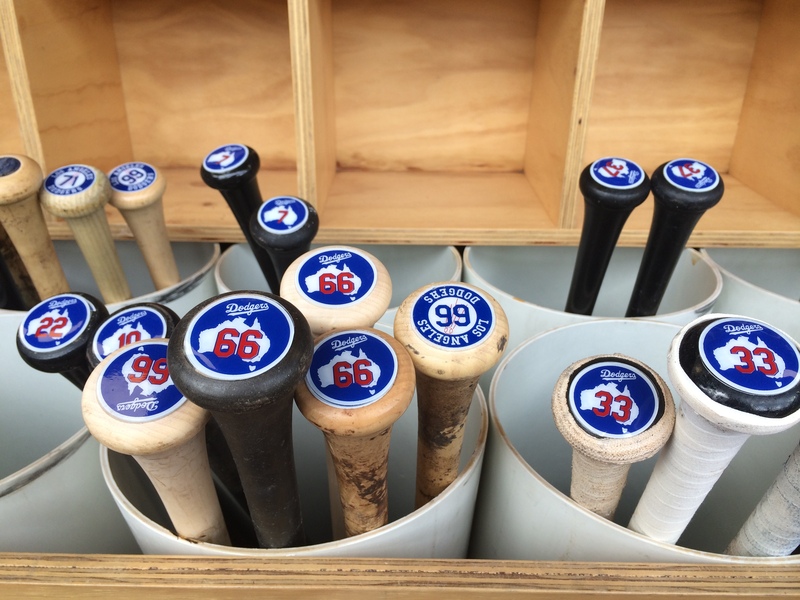 One of my favorite details is the addition of customized Australia stickers at the base of the bats. 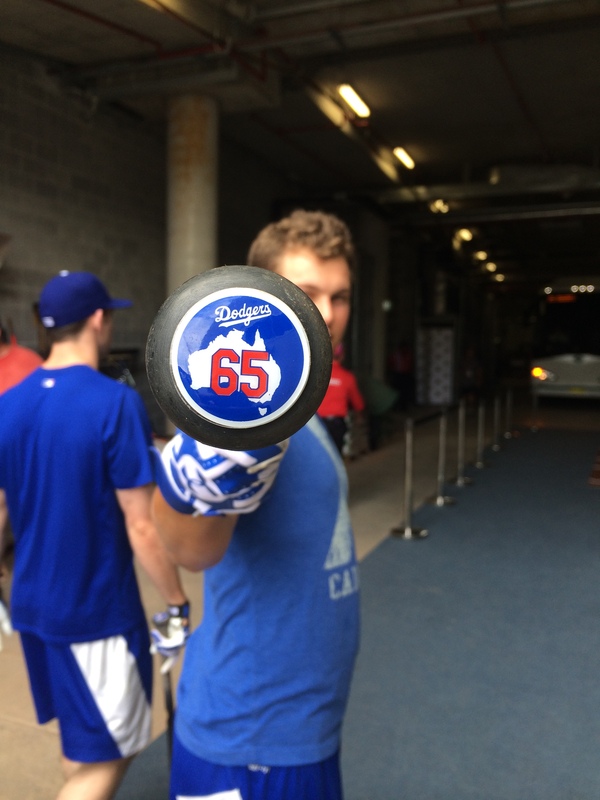 It may have gone unnoticed, but walking by Joc Pederson in the batting cage, the Dodgers prospect pointed it out. It’s safe to say, he’s enjoying all facets of his first Major League road trip. Clubhouse Manager Mitch Poole designed the decals to commemorate the trip Down Under. The stickers use the clubs secondary logo with the iconic red numbers and were made by a company based out of Florida called Pro Helmet Decals. It has only been 24 hours, but the adventure has already begun. The Dodgers arrived in Sydney at 10am local time on Tuesday morning, and almost immediately went to a workout at the historic Sydney Cricket Ground. Players were free to spend their Tuesday evening as they pleased. Drew Butera celebrated Joc Pederson’s birthday even though Joc Pederson plans to spend his real birthday on April 21st. For more photos from day one, check out Jon SooHoo’s photo blog.